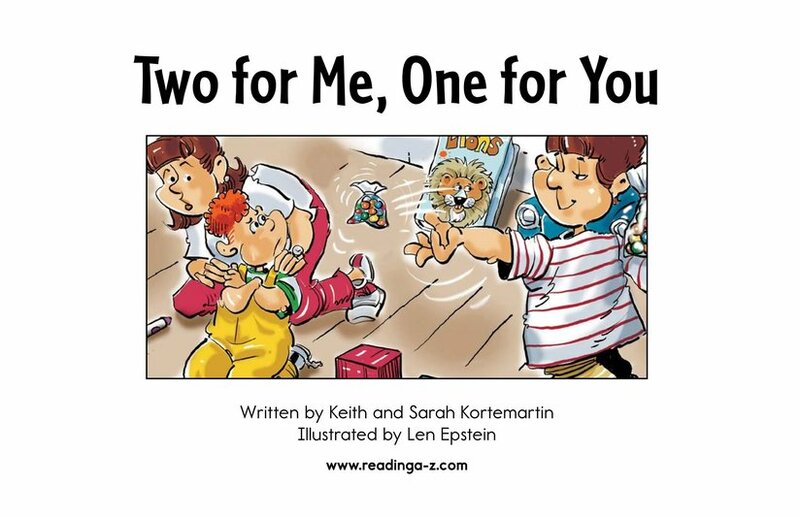 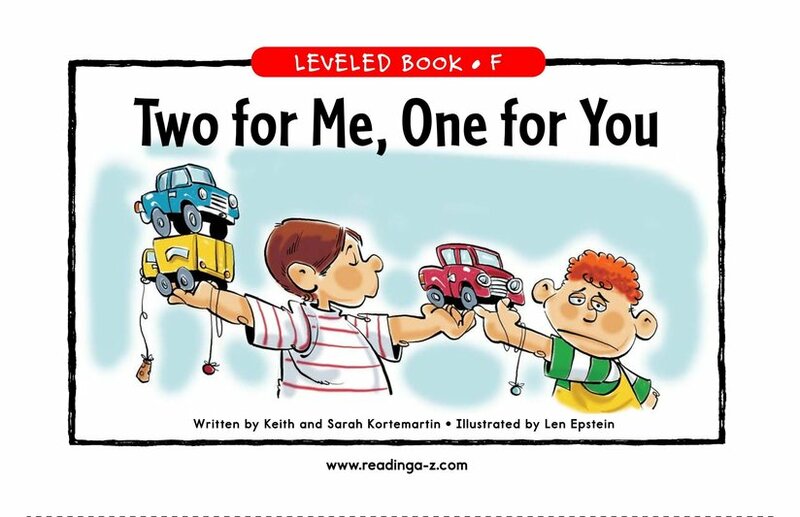 What should Mom do in the story Two for Me, One for You? 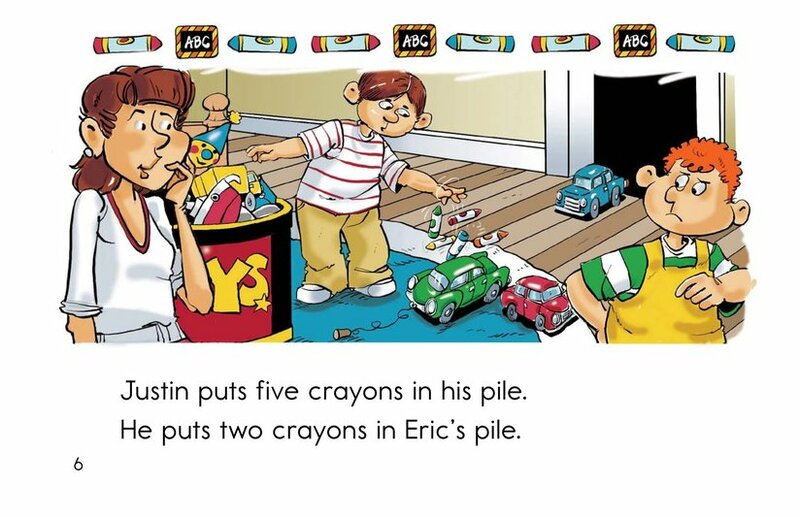 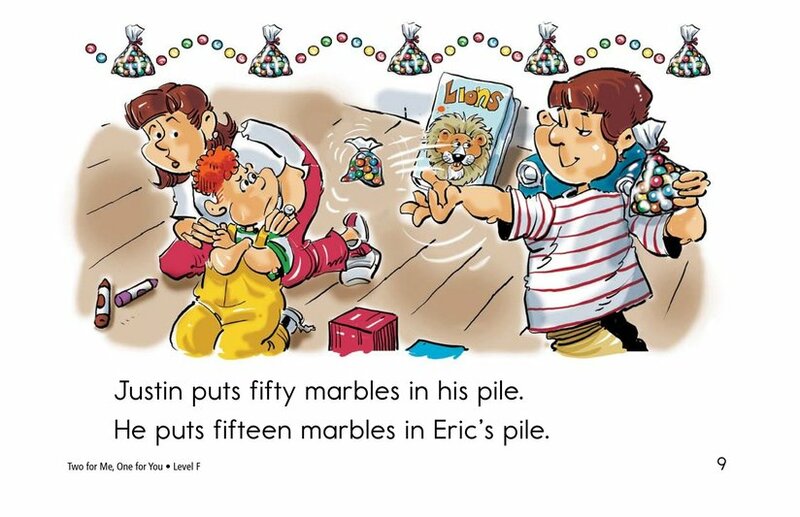 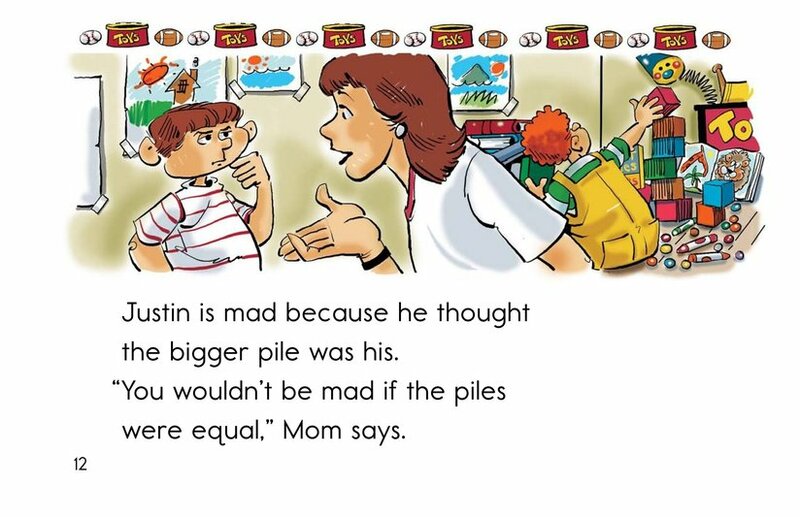 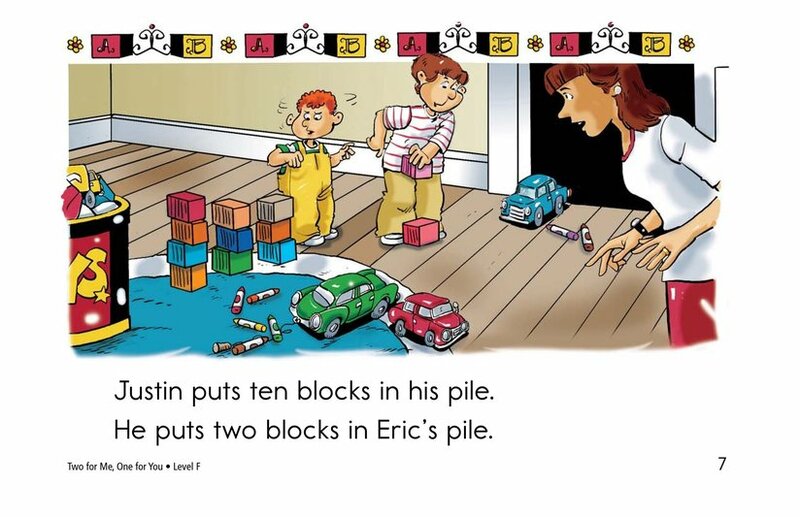 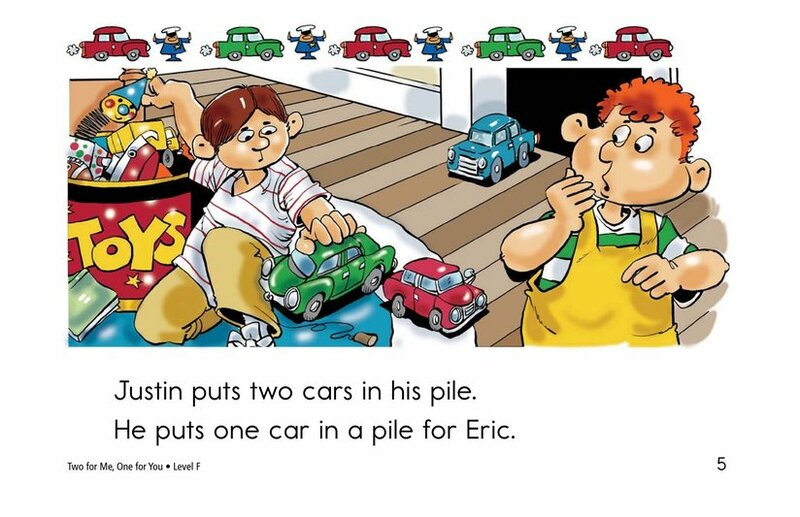 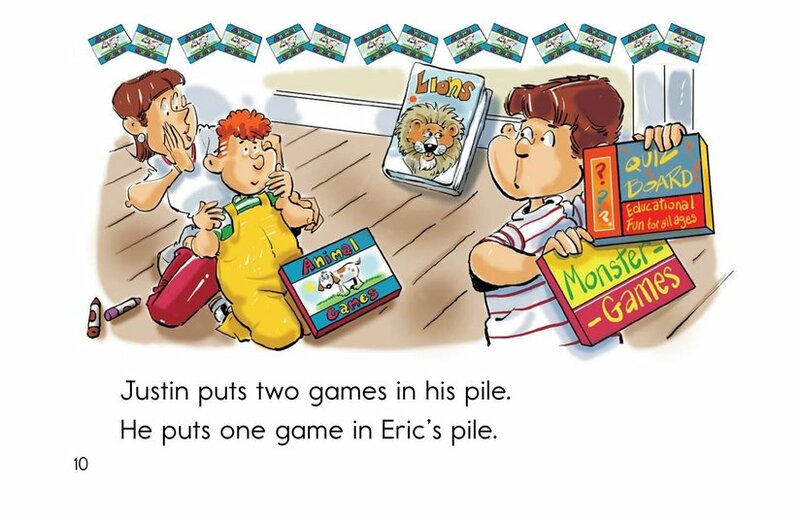 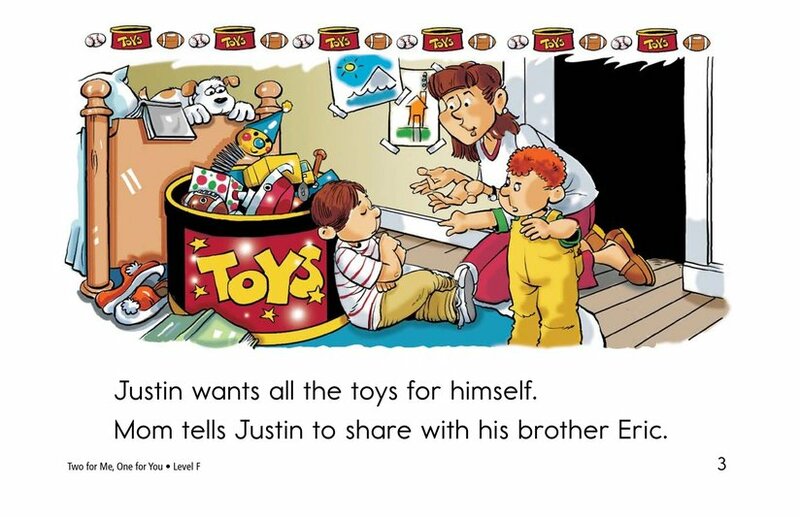 Justin wants all the toys for himself, but Mom says he must share with Eric. 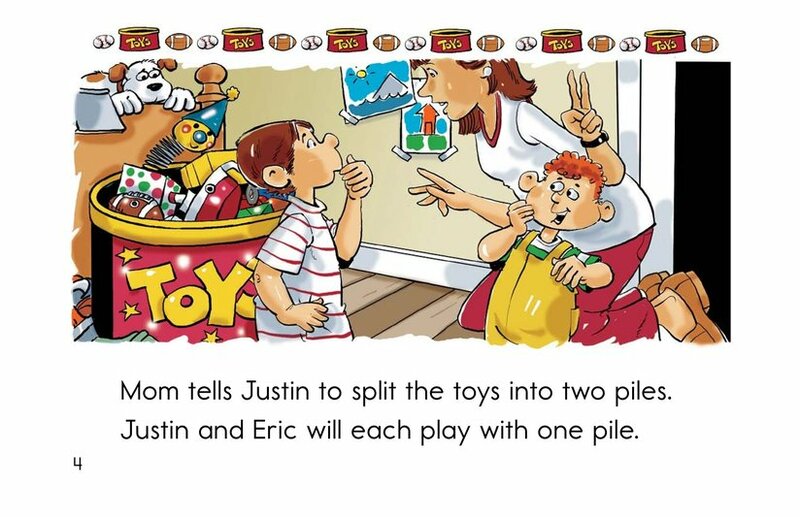 What happens when Justin splits the toys into two piles? 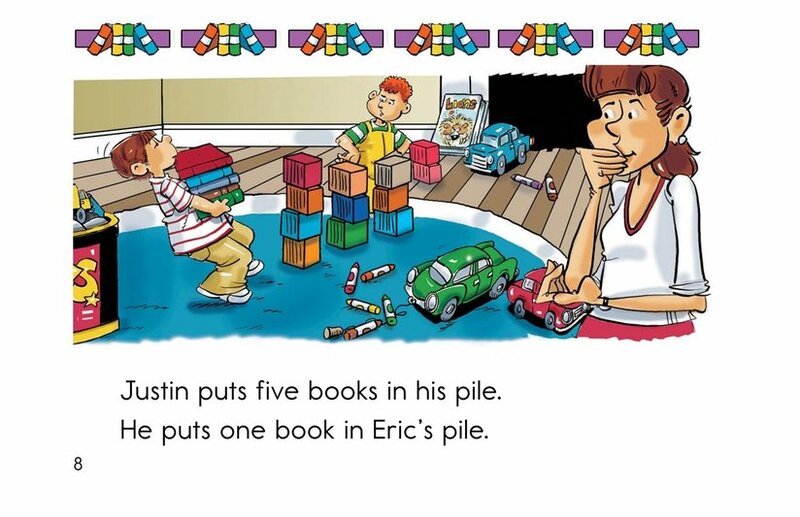 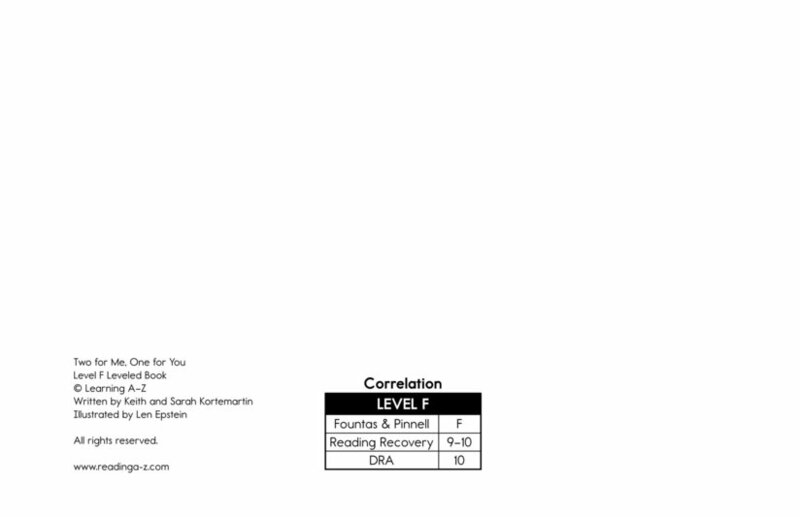 Students can sequence events as well as connect to prior knowledge. 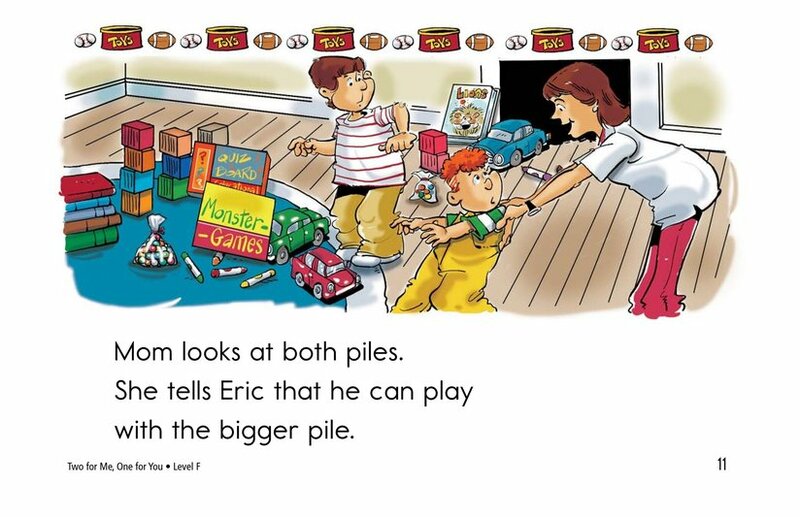 Supportive illustrations and high-frequency words support emergent readers.